Fold flat green silicone 1 litre kettle. 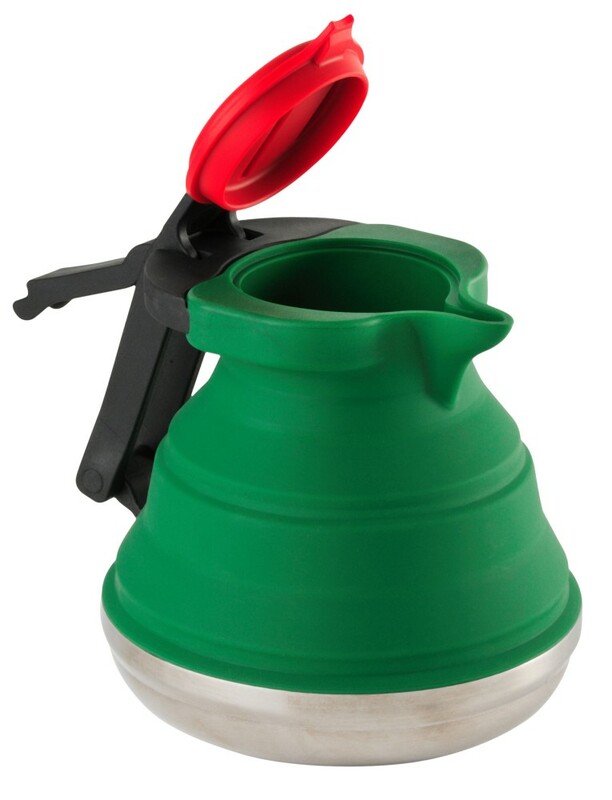 Collapsible green silicone 1.1 litre kettle with a stainless steel base. This kettle can be used on both electric and gas hobs thanks to the heavy duty stainless steel base. 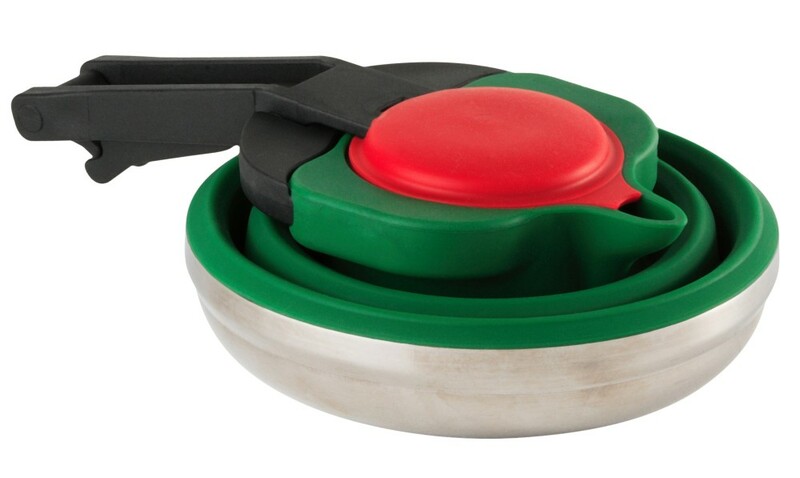 Ideal for camping trips as it folds down to 50 mm high by 220 mm diameter (this diameter includes the handle). The kettle has a 120 mm long rigid handle, the lid also clamps shut to prevent accidental spillages. Expands to a height of 135 mm.